Last week in a cold induced fog I accidently put the kale back in the freezer instead of the fridge when I was making my green smoothie. 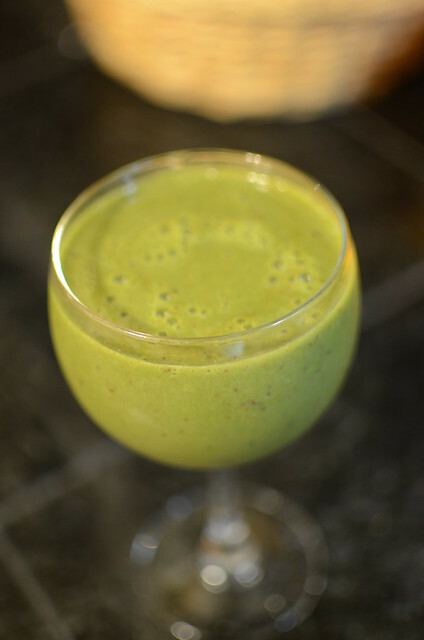 I found it the next morning and decided to see how frozen kale tasted in my smoothie. I couldn't tell a difference. 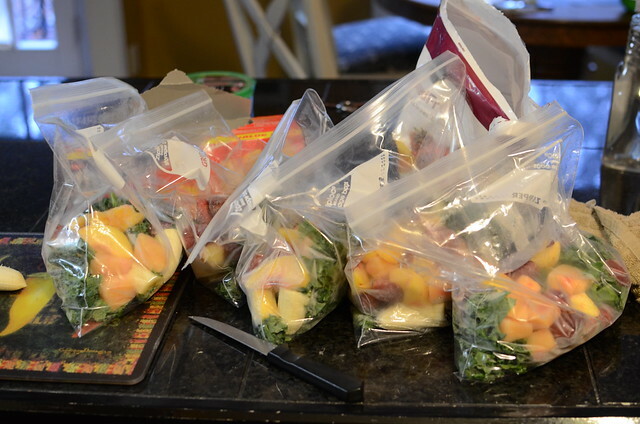 Since freezing the kale didn't seem to impact the flavor or texture of the smoothie, I decided to make some freezer packs. So all I have to do is dump it in the blender add some liquid and that's it. I used my blender as a measuring tool. I put the kale in lightly packed to the 4 cup mark. 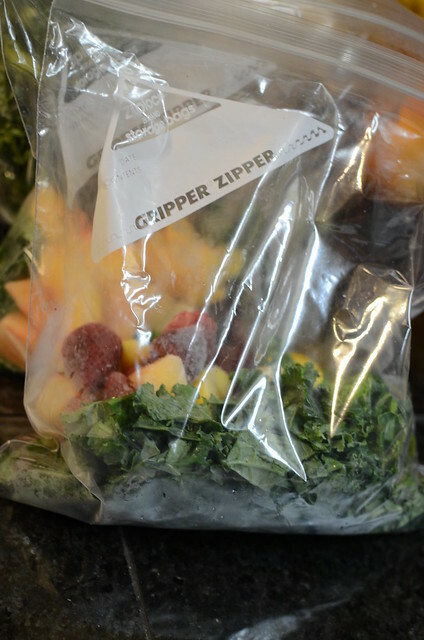 Then I placed the kale into a freezer bag. You can use any greens though. 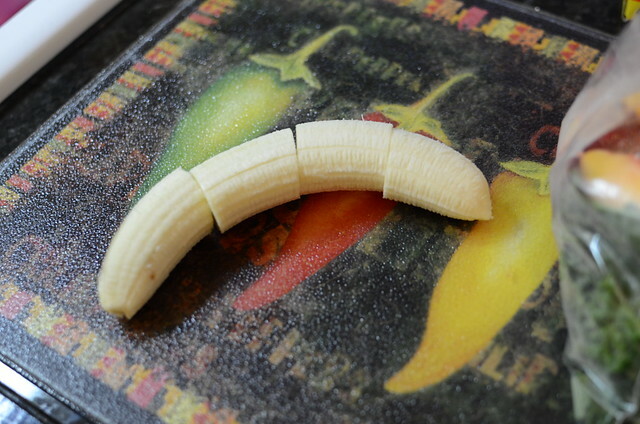 Along with a banana cut into pieces. Frozen bananas taste awesome in smoothies. 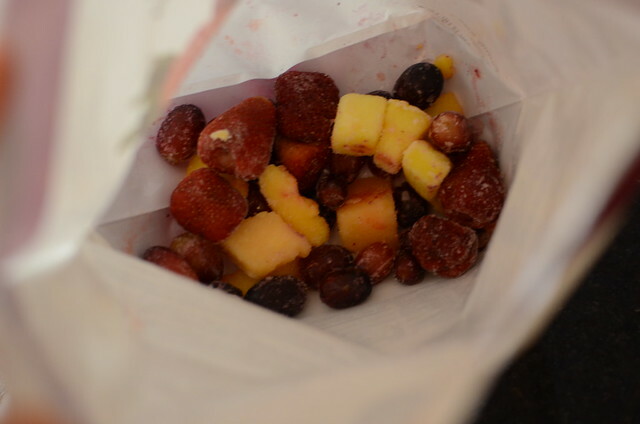 Plus a handful of frozen fruit. I should be able to reuse the bags several times. 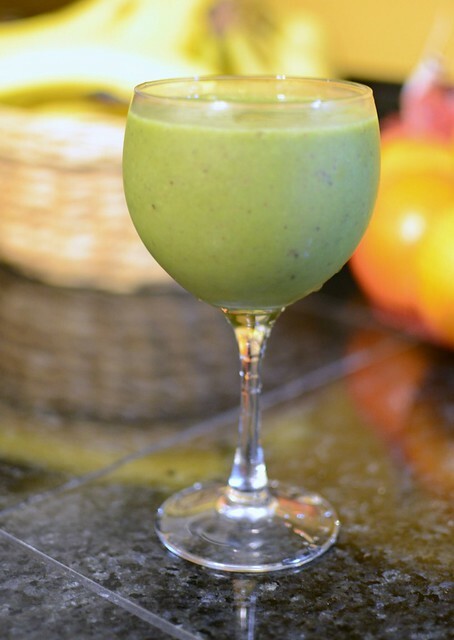 Then when you are ready to make the smoothie, dump the frozen fuit and veggies into the blender. Add 2-2.5 cups of liquid. I usually do 1 cup of almond milk and 1-1.5 cups of water. It took me about 10 minutes to put together the packs. Now I have smoothies ready for the rest of the week. Awesome! 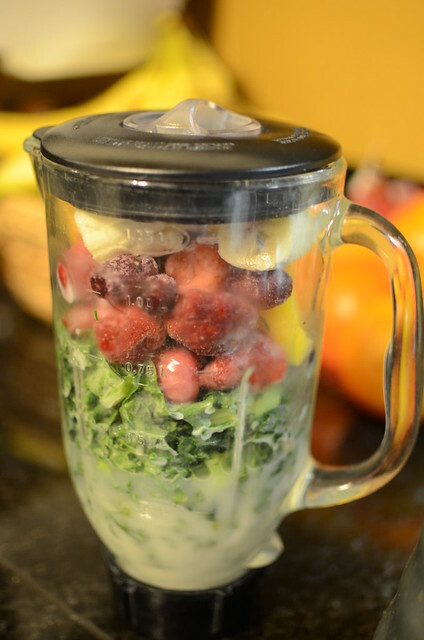 we love smoothies! hope you are feeling better! 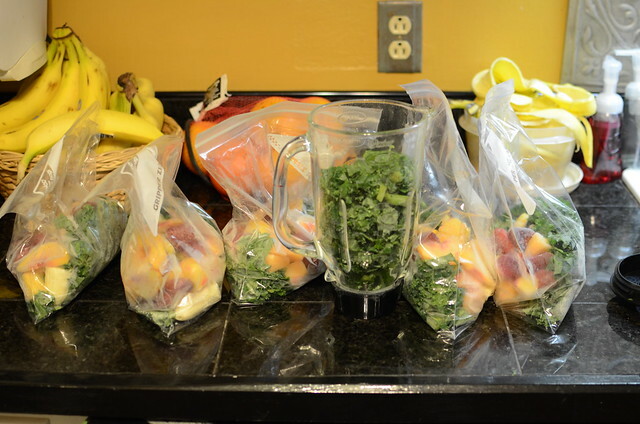 When I was a healthier person, I did those frozen smoothie packs, too. 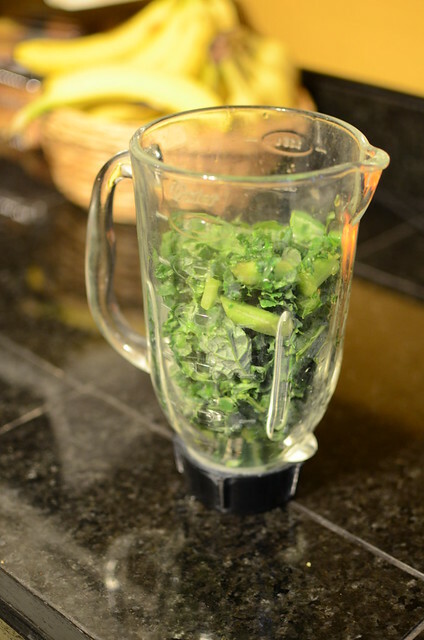 The kale makes it much healthier than what I did, though. Great time saver!